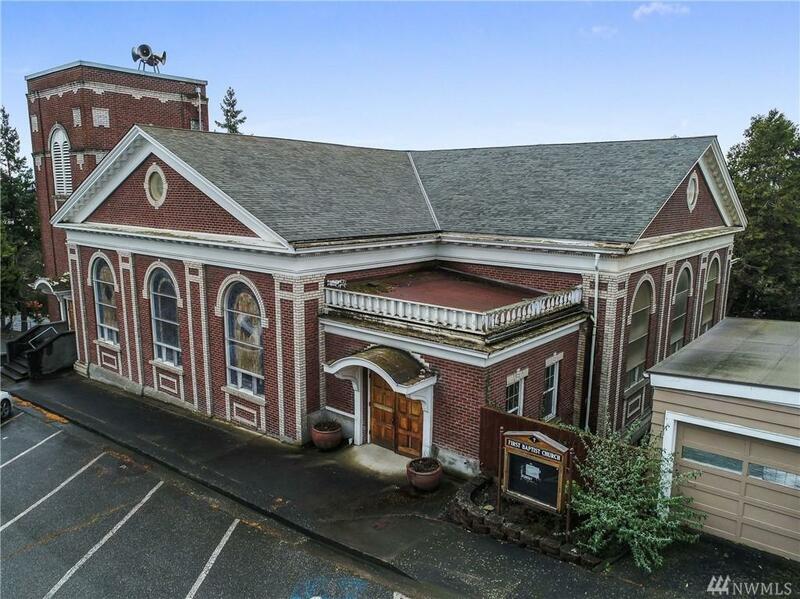 Beautiful, large, 20,000+SF brick church, overlooking the Skagit Valley. 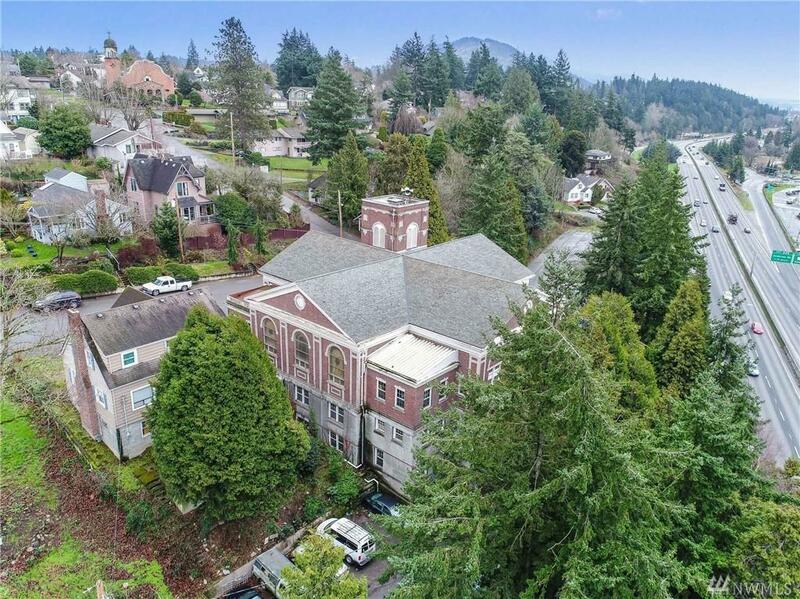 This building features a large commercial kitchen on main floor along w/ sports court/gym, a stage for plays, multiple classrooms, & nursery. 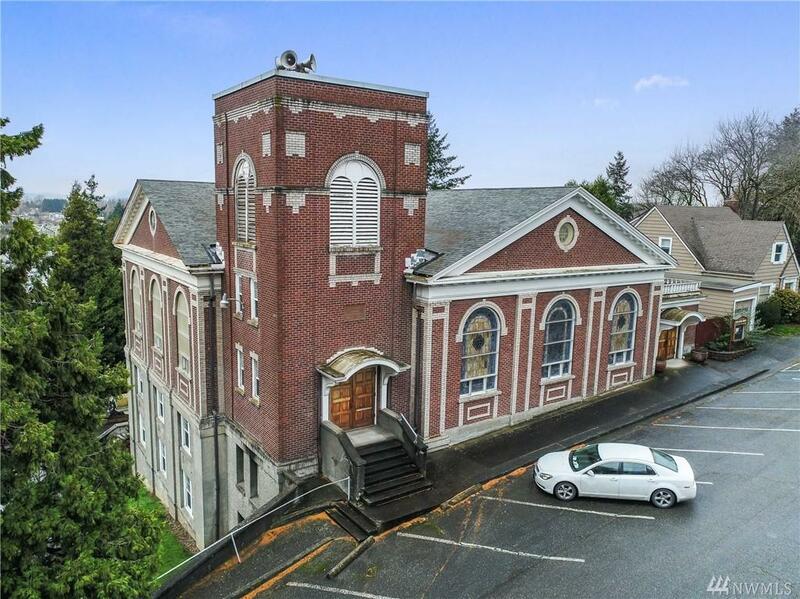 The second floor offers add'l classrooms, offices, a prayer room, & 2nd Kitchen. 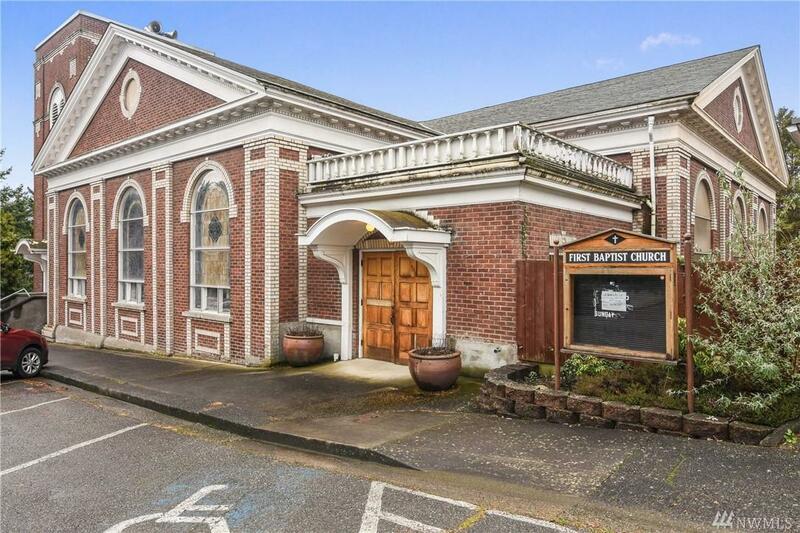 The third floor houses the sanctuary, which has a pipe organ, large platform w/choir benches, large baptismal w/ multiple dressing rooms, choir room, & storage, and has beautiful stained glass windows.